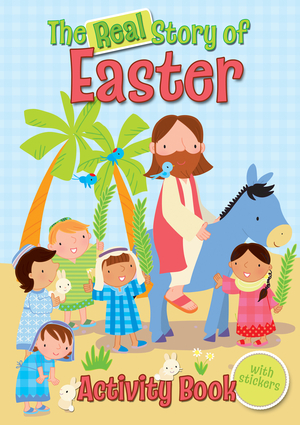 A craft and activity book that celebrates the Easter festival, making sure to put the story of Jesus at its heart and explain it clearly to young children. Ten pages are devoted to retelling the first Easter, these are accompanied by puzzles and activities which help children to understand and explore the meaning of what they are reading. There are also 12 pages of simple craft ideas, some reflecting the story of Jesus that has just been taught, and some traditional festival themes of new life. There is a centrefold of stickers for extra fun and decoration!